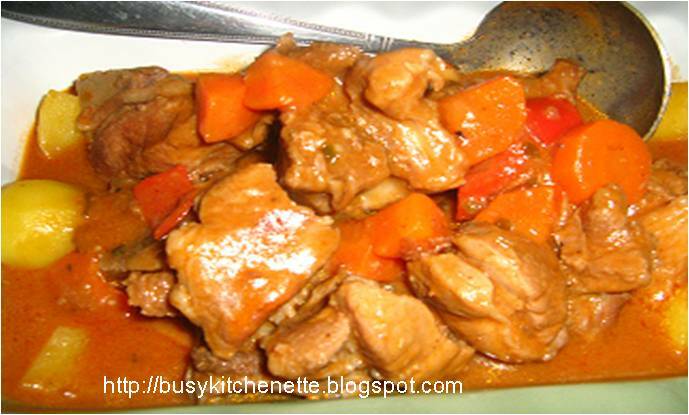 This is another favorite meat stew - Filipino dish. 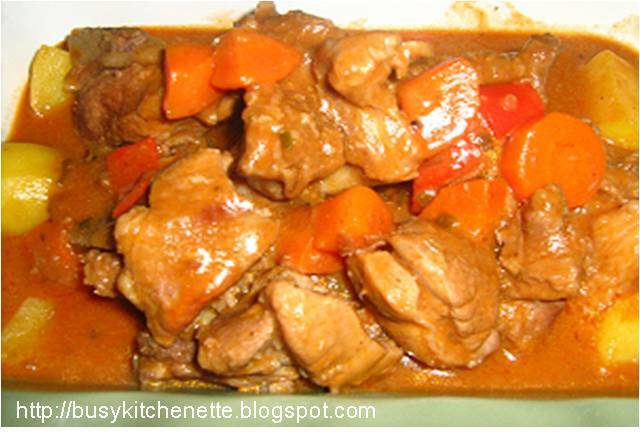 there are several variations in cooking this recipe. 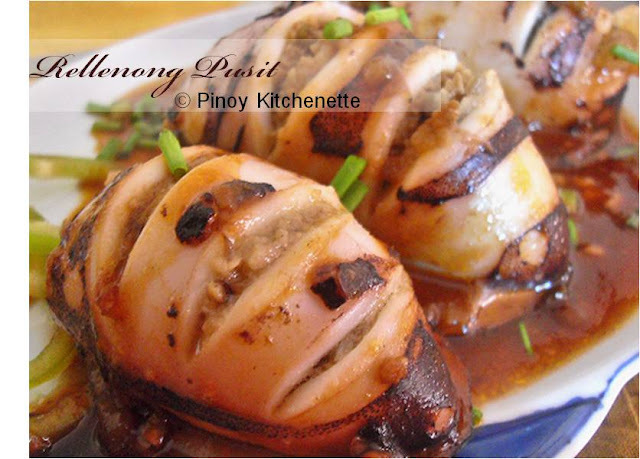 I personally prefer using the rib part (pork or beef) because the meat is tastier. Here is how my family cooks it. > In a pan, saute garlic and onions in oil. Add the meat. Stir. Add the tomato sauce and the pickle relish and ground pepper. Then add water. Cover and simmer until meat is tender. Add more water if necessary. > When meat is tender, add the cheese, peanut butter, carrots, potatoes, paprika and bell pepper. Add salt to taste.Simmer for about 10 to 15 minutes, then we are ready to serve! > Meat to be used for this recipe could be beef, pork, goat or chicken. The cooking direction is just the same. > To make the recipe spicier, you may add chili powder or red chilis. > You may add liver pate about 1/4 to make the sauce tastier and thicker.